This week, Miami New Times reported on t-shirt shops selling dead baby sharks as souvenirs. 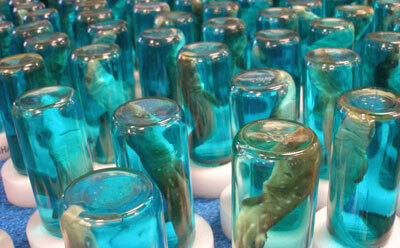 The sharks, by-products of the commercial fishing industry, are preserved inside bottles of blue alcohol/water solution. Sharks are magnificent creatures who are essential to the ocean ecosystem, but shark populations are dwindling around the world.